I'm not letting age change me, I'm changing the way I age. 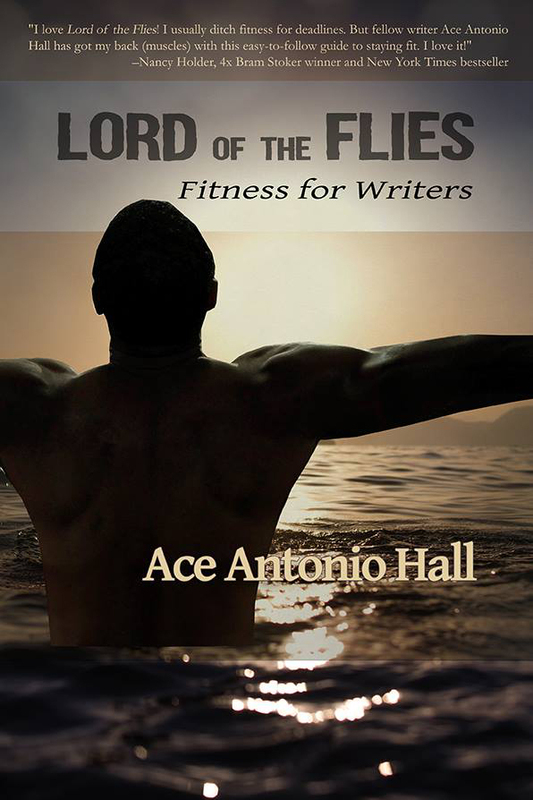 Lord of the Flies: Fitness for Writers will show you how to take a day-by-day approach to living a healthier lifestyle. You'll learn how to unleash hidden energies that can alleviate stress and disease in your life and improve concentration. Finding time to be more active can help you overcome writer’s block and procrastination caused by fatigue. Starting today, you are on your way to doing just that! By adding just fifteen to thirty minutes of physical activities to your day, you not only add years to your life and lower the risk of many common health problems, you'll improve your focus and concentration and make your mind sharper. 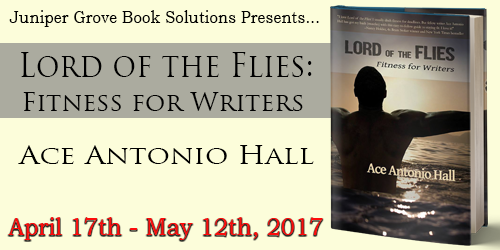 2017 Upcoming Signings, Panels and Appearances: April 22nd, Sisters in Crime’s Capitol Crimes Writer’s workshop, Sacramento, CA April 23rd, LATFOB, USC campus, CA April 25th book release of Lord of the Flies: Fitness for Writers, Worldwide Release April 25th World Premiere of 24 Cali Fitness music video featuring Shanti Lowry and Ace Antonio Hall April 25th Launch of the Fitness4Writers fitness website April 27th, 28th, 29th Horror Writer’s Association’s StokerCon, Queen Mary, Long Beach, CA See the schedules of the particular writing conferences for times of Ace Antonio Hall's panels, signing and appearances. You want to feel better, and everything you’ve tried has not had the results you expect. Perhaps, you want to look better as you age or, while you’re young, you want to be the best that you can be. This book can help you. If you’re an author or you work at a computer, you may sit for half of your day only getting up to make another pot of coffee, grab something to snack on, or to use the bathroom. In other words, you spend most of your time being inactive. Heck, it’s no wonder after you’re done, all you want to do is sleep or veg out in front of the TV. I went from a pot-bellied two hundred ten pound, thirty-eight-inch waist semislob to a fit-bodied one hundred sixty-four pound, twenty-nine inch waist semistud, but it wasn’t easy. It wasn’t hard, either. It was a process, a slow one. I didn’t rush; I just stayed persistent and created a new lifestyle that was focused on feeling better and dealing with stress more easily. Talk about late bloomer. I can’t believe it. At fifty, I’ve never felt and looked better! The purpose of this book is to show you how to take a day-by-day approach to living a healthier lifestyle. How amazing will it be to unleash hidden energies that can alleviate stress and disease in your life? You will even have more energy to write! Literally, being more active can help you overcome writer’s block and procrastination caused by fatigue.